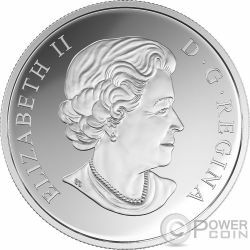 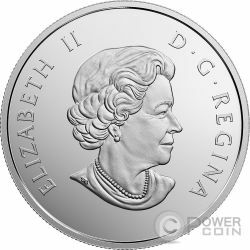 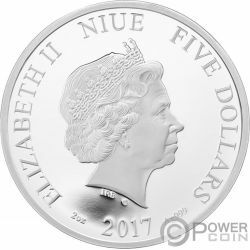 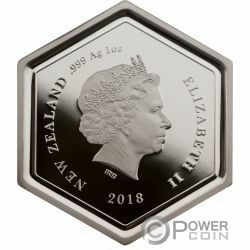 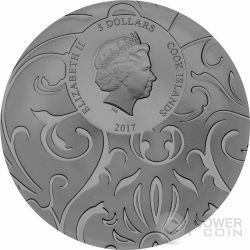 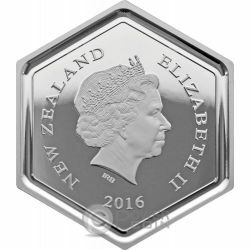 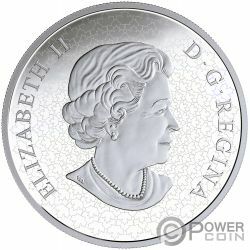 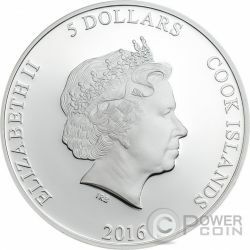 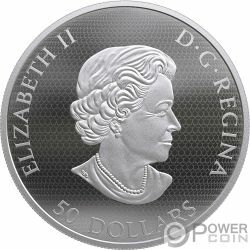 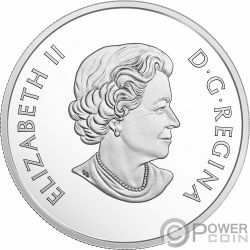 Esta encantadora moneda de Plata de 1 Oz es la segunda entrega de la serie “Mother Nature’s Magnification” y está dedicada al hermoso Rocío de la Mañana. 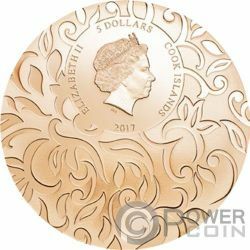 La moneda tiene una gota de rocío como un inserto, tiene un color maravilloso y viene en una elegante caja, junto con el Certificado de Autenticidad. 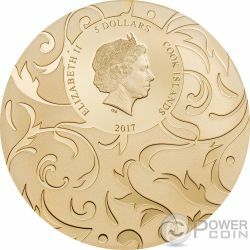 Tirada limitada de 7.500 piezas en el mundo. 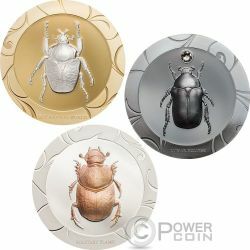 Este fantástico set de tres monedas de Plata de 1 Oz, representan diseños diferentes de escarabajos con diferentes colors. 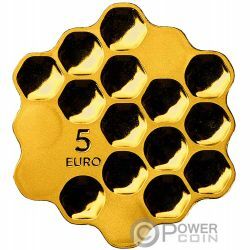 Las monedas tienen un hermoso Alto Relieve gracias a la tecnología Smartminting, tienen increíbles detalles, tienen calidad Proof y se entregan en una bonita caja con Certificado de Autenticidad. 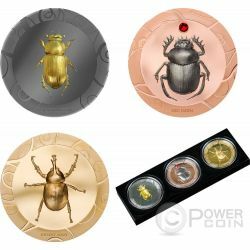 Tirada limitada a 499 piezas en el mundo. 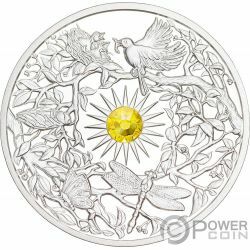 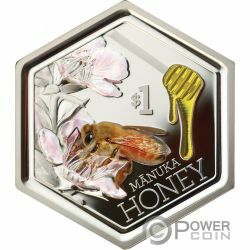 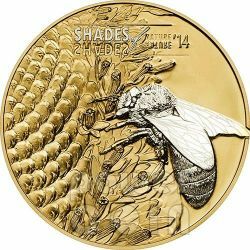 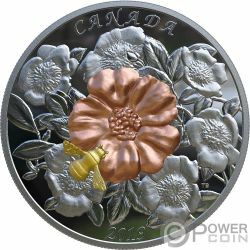 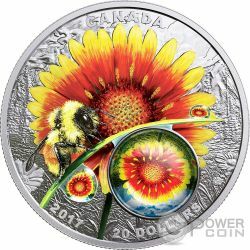 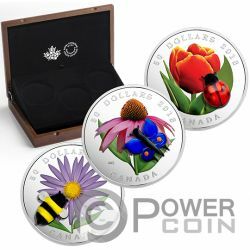 New coin series, the Shades of Nature Honey Bee: the laser technology creates intricate details and matt finish on coin surface. 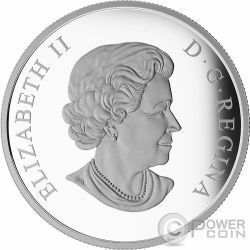 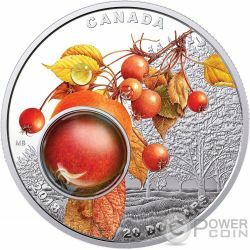 The coin is a superb example of micro minting. 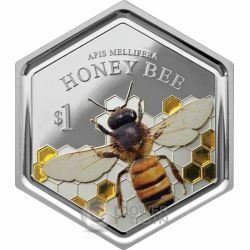 The bee, with all its details, seems to be real! 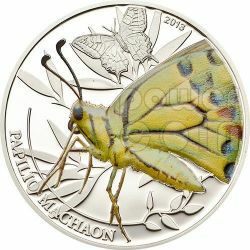 Fifth coin issued by the Republic of Palau in 2011 belonging to series: "World of Insects". 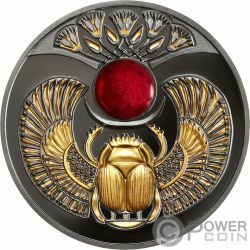 It depicts one of the most beautiful and lovely insect in the nature: the Butterfly. Fourth coin issued by the Republic of Palau in 2011 belonging to series: "World of Insects". 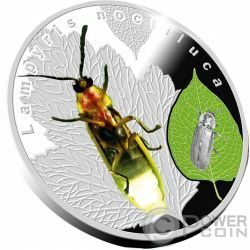 It depicts one of the most strange insect in the nature: the Walking Leaf. 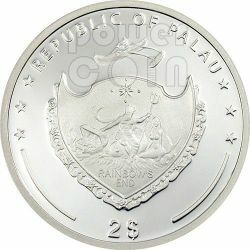 Third coin issued by the Republic of Palau in 2011 belonging to series: "World of Insects". 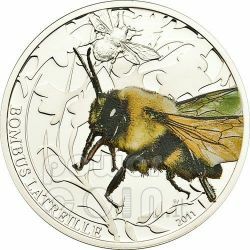 It depicts one of the most useful and important impollinator insect for the man: the Bombus Bee. 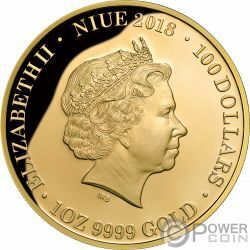 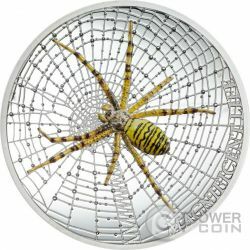 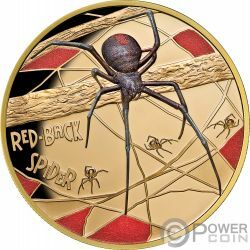 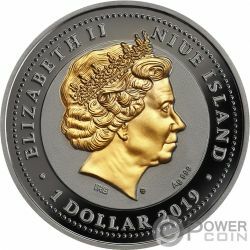 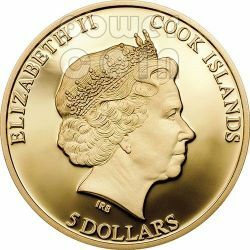 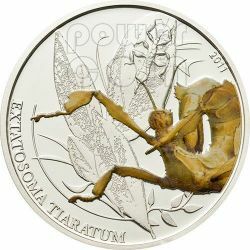 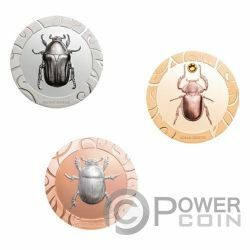 Amazing coin issued by the Republic of Palau in 2010 belonging to new series: World of Insect. 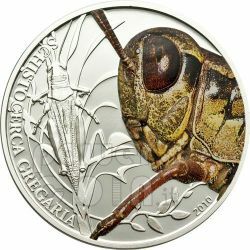 It depicts the terrible grasshopper species and particularly it honors the desert locust: one of the Egyptian biblic plagues. 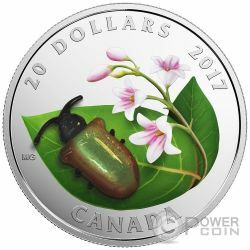 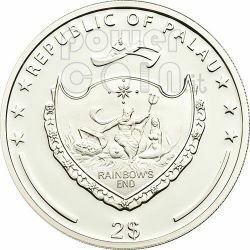 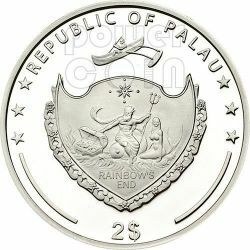 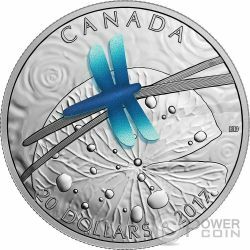 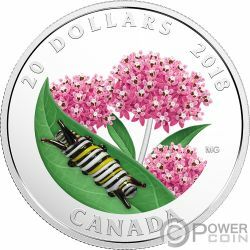 Beautiful second coin issued by the Republic of Palau in 2010 belonging to serie: World of Insect. 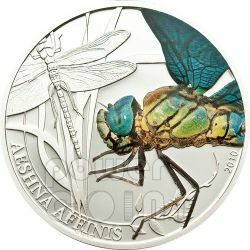 It depicts the amazing drangonfly species and particularly it honors the Blue-eyed Hawker.